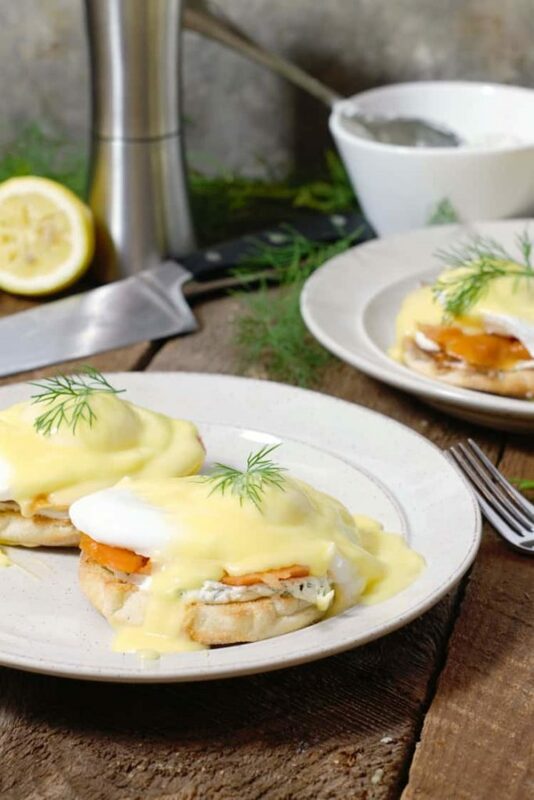 Jam packed with rich flavors, textures, and smells, smoked salmon eggs benedict are the perfect breakfast/brunch item for any special occasion. Interestingly enough Eggs Benedict are so popular, that there are multiple variations of the classic, each with their own name. You’ll likely know Eggs Florentine (made with spinach), but there are a few obscure variations such as Eggs Omar, ( made with steak instead of ham), and Eggs Chesapeake, (made with a crab cake instead of ham) as well. Regardless of their name, they make a delicious breakfast, and believe it or not, smoked salmon eggs benedict are not all that hard to make! Sure it’s not as simple as making scrambled eggs, BUT if you want fancy food, you do need to put in a little effort right!? That said I’ve tried to make this as easy as possible for anyone to pull of at home. 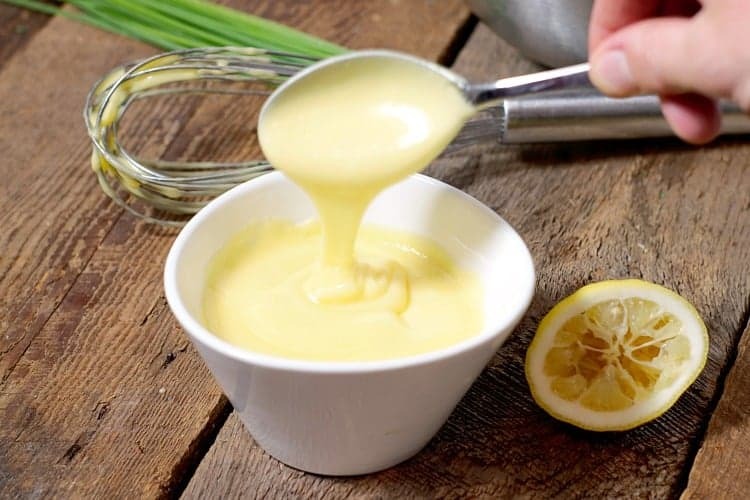 If your nervous about poaching eggs or making hollandaise from scratch, don’t worry, this guide to making your own hollandaise should answer any specific questions you have. 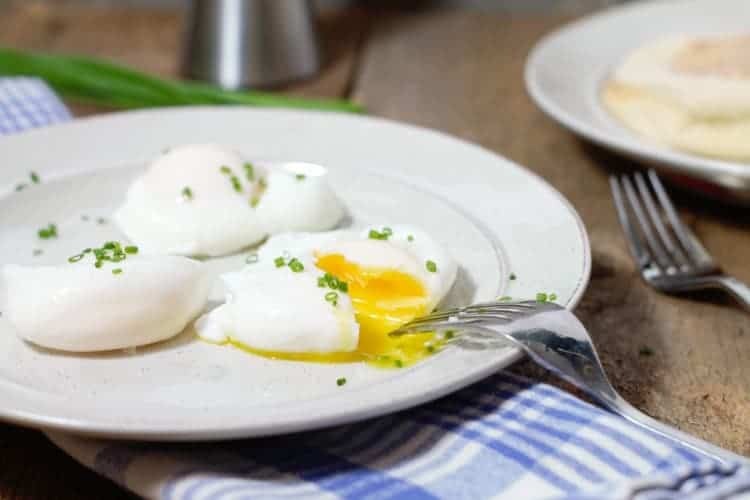 If you’ve never poached eggs before, I would also suggest reading ‘How To Poach Eggs’ first. Whether you choose to use hot or cold smoked salmon for these eggs benedict doesn’t really matter. It’s more of a personal preference as hot and cold smoked salmon will have different textures and flavors. Cold smoked salmon is smoked with cooled down (cold) smoke, and has more of a ‘cured’ texture. Cold smoked salmon is generally not as strong as hot smoked salmon, and has a fresher salmon flavor. Let’s get to the real reason your here though. These super tasty smoked salmon eggs benedict. If you’re comfortable poaching eggs and making hollandaise, you can jump right in!. Otherwise, I suggest reading the guides to making hollandaise and poaching eggs I mentioned above, although if you’re very brave I do include basic instructions for those here as well. 1.Start by making your hollandaise sauce. Combine the egg yolks and lemon juice, then whisk them together over a double boiler until the egg yolks start to form ‘ribbons’. Slowly whisk in the hot clarified butter (not over the double boiler) until the hollandaise has thickened and is smooth. If you see the hollandaise start to look greasy, as if the oil may be splitting out, add a splash of warm water and vigorously whisk. Set the hollandaise aside in a warm spot. 2.Mix the chopped dill, salt, and pepper with the cream cheese in a small bowl using a spoon. 3.Next, heat a large pot of water on the stove on high. As the water heats, cut the english muffins in half and toast them in a toaster oven or toaster. Spread the dill cream cheese on the toasted english muffins, and then top with slices of the smoked salmon. Once the water is hot, turn the heat down to a simmer. You should see small air bubbles coming up from the bottom of the pot. Add a small splash of vinegar to the water to help keep the eggs from spreading in the water. Crack the eggs into the simmering pot one at a time. Poach your eggs for 3-5 minutes. depending on how hard you like your yolks. Remove the poached eggs from the water with a slotted spoon, and place on top of the prepared english muffins. 4.Top liberally with the hollandaise, and garnish with red onion and dill sprigs. If you are planning on making eggs benedict for a large group, say for brunch, mothers day, or other special occasion, I would suggest doing a little prep ahead of time, to make serving these a lot easier and faster. Prepare the dill cream cheese the day before, and keep it in the fridge until you need it. Measure out the ingredients for the hollandaise ahead of time, and pre-clarify your butter (if you are making your own). Pre-poach the eggs by partially cooking them for 2 minutes and then shocking them in an ice water bath. Save the eggs in the fridge in a container of water until you are ready to re-heat them. 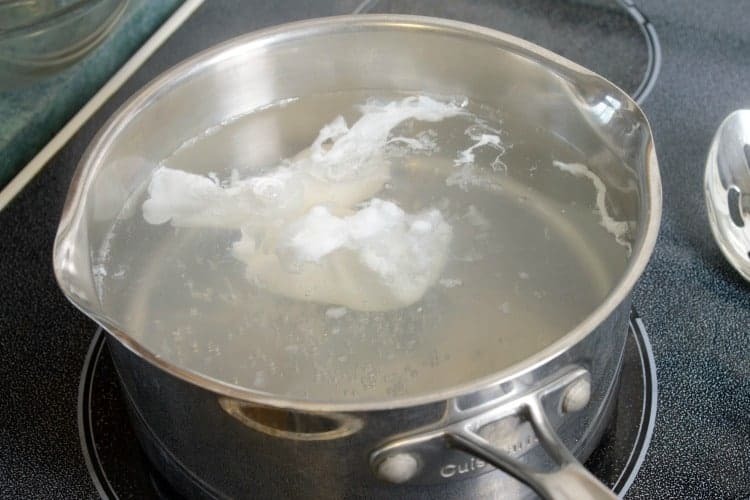 To re-heat, simply drop back into simmering water for 2-3 minutes. These smoked salmon eggs benedict are best served alongside a salad of fresh spring greens topped with a few garden vegetables. You can also serve them alongside homemade hash browns though for a more ‘breakfast-y’ feel. Rich, slightly smoky, and incredibly delicious, these eggs benedict with smoked salmon are the perfect breakfast or brunch item. They are surprisingly easy to make as well! Keyword eggs benedict with smoked salmon, making eggs benedict for a group of people, what are eggs royale? Start by making your hollandaise sauce. Combine the egg yolks and lemon juice, then whisk them together over a double boiler until the egg yolks start to form ‘ribbons’. Slowly whisk in the hot clarified butter (not over the double boiler) until the hollandaise has thickened and is smooth. If you see the hollandaise start to look greasy, as if the oil may be splitting out, add a splash of warm water and vigorously whisk. Set the hollondaise aside in a warm spot. Mix the chopped dill, salt, and pepper with the cream cheese in a small bowl using a spoon. Next, heat a large pot of water on the stove on high. Crack the eggs into the simmering pot one at a time. Poach your eggs for 3-5 minutes. Remove the poached eggs from the water with a slotted spoon, and place on top of the prepared English muffins. Once the poached eggs are removed from the simmering water, top each prepared english muffin with one egg. Top liberally with the hollandaise, and garnish with red onion and dill sprigs. I’ve never made poached eggs like this before!! And I’m loving the dill cream cheese!! Perfect for Easter brunch!! This is one of my favorite breakfasts – and we just so happen to have a whole bunch of lox left over from my 4 year old’s birthday bagel brunch. I know what i’m making for dinner this week! Eggs Benedict is my favorite breakfast ever! I love this version with salmon! I wish I had this kind of breakfast everyday! Eggs benedict are my absolutely favorite, and the smoked salmon is just the perfect addition! Eggs benedict is one of my favorite breakfast dishes! I love that you added salmon instead of ham in this recipe, looks delicious. I’m loving your website and this recipe! I’ve signed up for your newsletter! Can’t wait to see more. And BTW, I’d be honored if you shared this recipe (and any others) at our What’s for Dinner link party! Now this is how to do breakfast! I love that you have provided tutorials on how to poach an egg and make hollandaise from scratch.. all excellent lessons to learn! 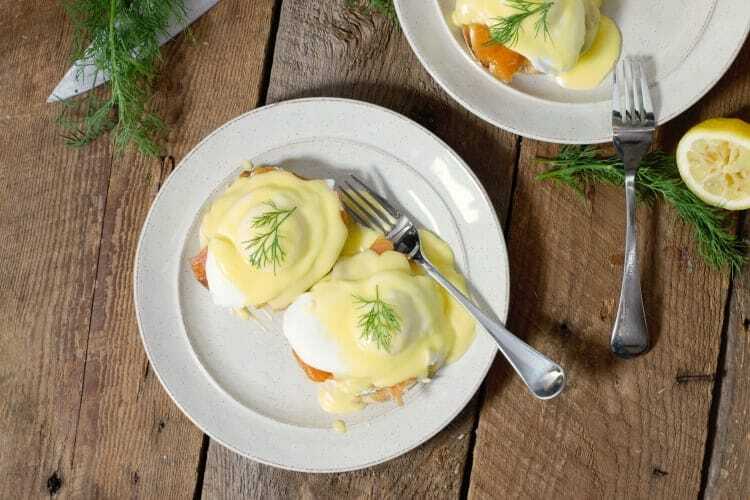 Breakfast (or brunch) is my favorite and this egg benedict is a perfect way to start a day. And dill cream cheese? I need to make an extra batch of that. 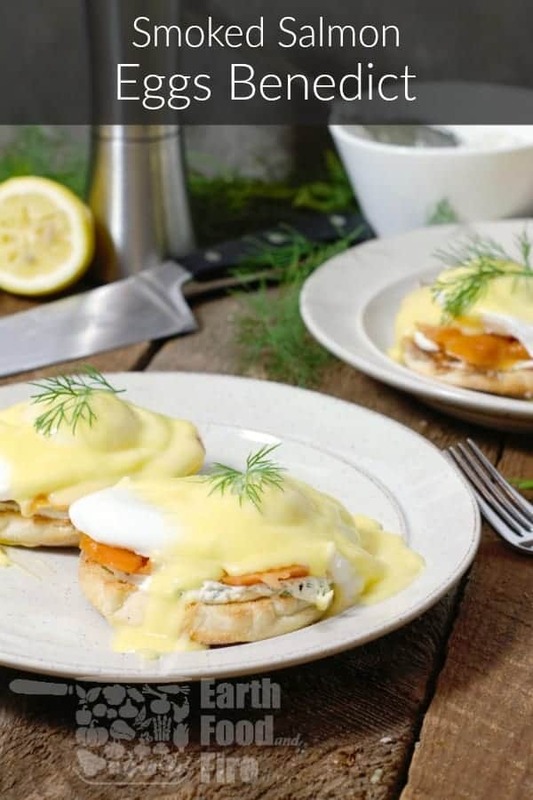 With Easter and Mother’s Day coming up, I feel like I have a lot of brunch hosting on my agenda, so I’m glad I came across this Benedict because it sounds delicious! Love the elegant twist of the smoked salmon. those eggs are just so beautiful. 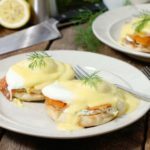 i love a good smoked salmon benedict – smoked salmon is just the best! i had no idea about the different names either, so interesting! Love to make this delicious and creamy Breakfast for my loved ones this weekend. So flavorful and mouth melting too.